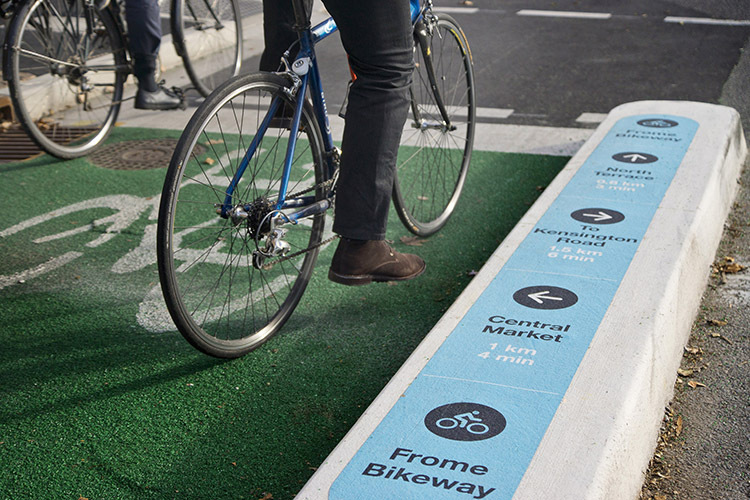 – Last year Council commissioned an independent evaluation of the Frome Street Bikeway. The report found that there was no evidence the bikeway had a negative impact on travel time for motorists, property values, businesses, on street parking or garbage collection. In fact, it has resulted in an increase in the number of people riding on bikes and reduced traffic congestion and travel times for people in cars. InDaily published this summary of the report’s findings. You may also like to read the full report here. – The report recommended some minor improvements to improve the safety of cyclists. These were costed by Council administration at approx $50,000. – The option of redesigning traffic lanes was considered within the independent report and costed at $350,000. Council administration advised that the costs may be up to $520,000. The report concluded this redesign work was not neccesary. – While the motion that passed Committe last week stated that the Frome Street Bikeway would be “retained”, I am concerned that this kind of redesign will impact on cyclist amenity and compromise the integrity of the seperated bikelane. It would also represent a replacement of the existing bikeway at a significant cost and I do not believe we should be spending ratepayer’s money on trying to fix a problem that doesn’t exist. We should be spending this $500,000 on rolling out more bikeways, not ripping them up! – Last week I opposed the motion that we investigate redesigning Frome Street and instead proposed that we accept the Frome Street report as printed. While I was not successful in my endevours, the matter will return to Council for consideration tomorrow night. The matter is returning to Council tomorrow night. Council meetings are open to the public and begin at 6pm. You may wish to attend. You may also want to write to Councillors and let them know your view on the subject or sign an online petition. This entry was posted in Campaigns, Media and tagged Cycling, Green infrastructure, Public Spaces by robsimms2011. Bookmark the permalink.